I'm 19 years old and a HUGE fan of classic movies and classic stars. 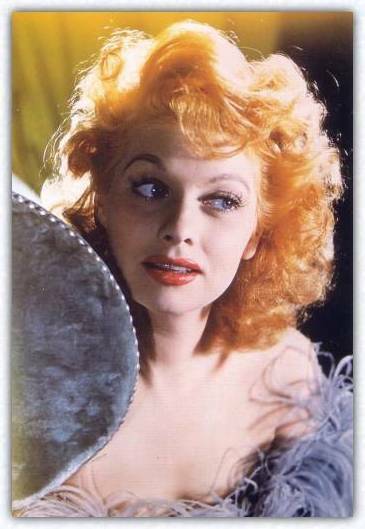 Lucille Ball is the one that opened the door to that when I was 11 years old and fell in love with "Lucy". Although I love "I Love Lucy" as much as the next fan, I also adore her movies, so in this site I want to spotlight on her career as a film actress in the 30's and 40's more than on her television career, but as you can see I do have small, separate "Lucy" section. 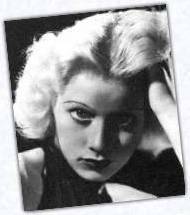 Before her work in television, in the 30's and early 40's, Lucille was "The Queen of the B's" at RKO, often playing wise-cracking, "tough broad" roles. From the very beginning, even though she started as a glamour girl, she was never afraid to take pratfalls or look un-glamourous for the cameras. This willingness is what lead her into comedy early on. Even in her earliest roles her delivery of a wisecrack was flawless. She made dozens of movies in just her first few years in Hollywood- always learning, always improving and always capturing the spotlight, even in her smallest parts. Of course her lasting legacy remains in television, with the character of the scatter-brained Lucy Ricardo. For this she deserves the legendary status she has achieved. So here goes my tribute to one of the most talented actresses the world has ever seen.